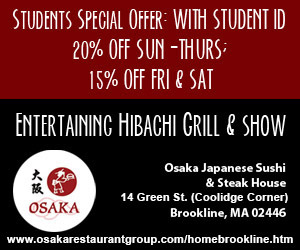 While attending Boston University, you will have a firsthand look on the most pressing issues affecting local residents. 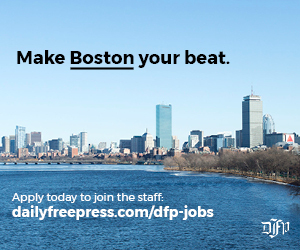 Officials are working to improve Boston’s infrastructure and various policies, all while citizens are becoming increasingly engaged. 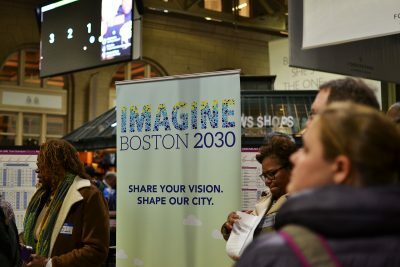 Boston Mayor Martin Walsh announced the final draft of Imagine Boston 2030, the city’s first plan of its kind in 50 years, on May 18. With a heavy focus on the input of residents, Walsh’s citywide initiative — which has been in the works for over a year — aims to establish guidelines to preserve the city and encourage responsible growth by 2030. The 420-page plan provides information on several key issues the city aims to tackle throughout the following years, including population growth, wage inequality, housing affordability and climate change. Natalia Urtubey, director of engagement for Imagine Boston 2030, said a considerable portion of the plan was shaped by residents who contributed throughout the entire process, which helped to cement the city’s priorities. The city organized a weeklong series of tours and panels, beginning Nov. 30 of last year, to allow residents to learn more about the initiatives, while giving feedback to officials. In total, over 14,000 residents have contributed to the plan. Because of Boston’s growing population, and the increasing pressure it puts on the housing market, affordable housing is one of the focus areas for local officials. The need for increased affordable housing has come to light with a considerable number of residents struggling to earn enough to pay for the city’s rising rates. To help combat this issue, and prevent citizens from becoming homeless, various officials and agencies are taking action to develop affordable housing units and allocate funds to projects of similar nature. Walsh’s Housing Boston 2030 initiative will help to create housing that will allow for 53,000 new units across the city, with officials estimating that approximately 700,000 individuals will reside in Boston by 2030. 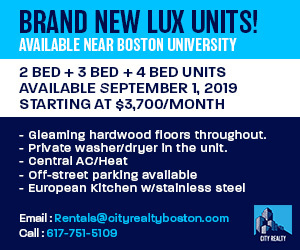 The Boston Planning and Development Agency approved nine development projects in March, with 47 of the 91 new residences being affordable units. Massachusetts Gov. Charlie Baker and Lt. Gov. Karyn Polito are also focusing on affordable housing. The administration will grant $20 million to related projects throughout the state on March 28. The funds will be allocated to housing projects to support groups like homeless families and those with disabilities. Approximately 53 percent of Massachusetts residents voted to pass Ballot Question 4, the legalization of recreational marijuana, on Nov. 8. The measure, which officially went into effect on Dec. 15, legalizes the use of the substance for adults 21 years of age and older, and aims to provide a “regulated and taxed distribution system,” according to the initiative petition. In response to the measure Massachusetts officials have continued to debate the logistics of The Regulation and Taxation of Marijuana Act, with some, like Massachusetts Senate President Stan Rosenberg, calling for changes. This past January, the Massachusetts Legislature voted to delay the sale of recreational marijuana by six months, citing a need to work with stakeholders to improve the law, while also focusing on the health and safety of the public. Jim Borghesani, spokesperson for Yes on 4, said he disagrees with the attempts of legislators to change the law, and he voiced agreement for appropriate regulation. Shawn Collins, the director of policy and legislative affairs at the Massachusetts State Treasury, said marijuana policies will be stricter than those in states where the substance is also legal, like Colorado, at a City Council meeting in March. The opioid epidemic in Massachusetts has yet to falter, with the number of deaths related to the substance again rising this past year. An estimated 1,979 fatalities occurred in 2016, according to the Massachusetts Department of Public Health. As a result, local officials have pushed forth legislation to target the crisis, while also pledging that further action will be taken to help residents affected and at risk. Confronted with the of the ongoing problem, the Baker-Polito administration announced in late February that officials aimed to increase prevention and treatment measures, while raising awareness and providing support. Baker and his administration allocated $145 million in funding for programs designed to help individuals overcome substance abuse disorders. In addition, the state also received a nearly $12 million grant from the federal government, according to an April 25 press release from Baker’s office. The funds will primarily serve to increase services and programs for pregnant women and correctional inmates. 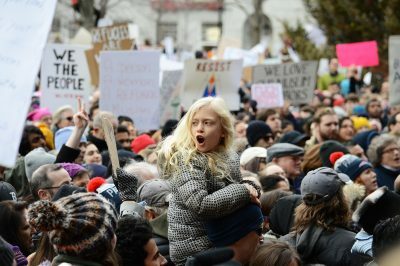 President Donald Trump was elected as on Nov. 8, ushering in a wave of protests, rallies and movements in Boston, organized throughout the following months. Residents gathered to voice their disapproval of actions taken by the administration or lack thereof, as well as display solidarity for various groups. Several issues residents held rallies for focused on dealt with women’s rights, immigration policies and climate change. The largest assembly, the Boston Women’s March for America, which was a national movement, took place on Jan. 21, the day after Trump’s inauguration. Approximately 125,000 people filled the Boston Common to voice messages of inclusivity and express opposition to possible violations of women’s civil rights done by the president. Following Trump’s executive order that called for a traveling ban on seven Muslim-majority countries, approximately 20,000 protesters came together at Copley Square on Jan. 29 to show support for those affected and rally against the ban. Citizens also assembled at the Boston Common to voice a need for climate change action and to hold the Trump administration accountable for its lack of attention to the topic on April 29 — one of 300 rallies across the country.